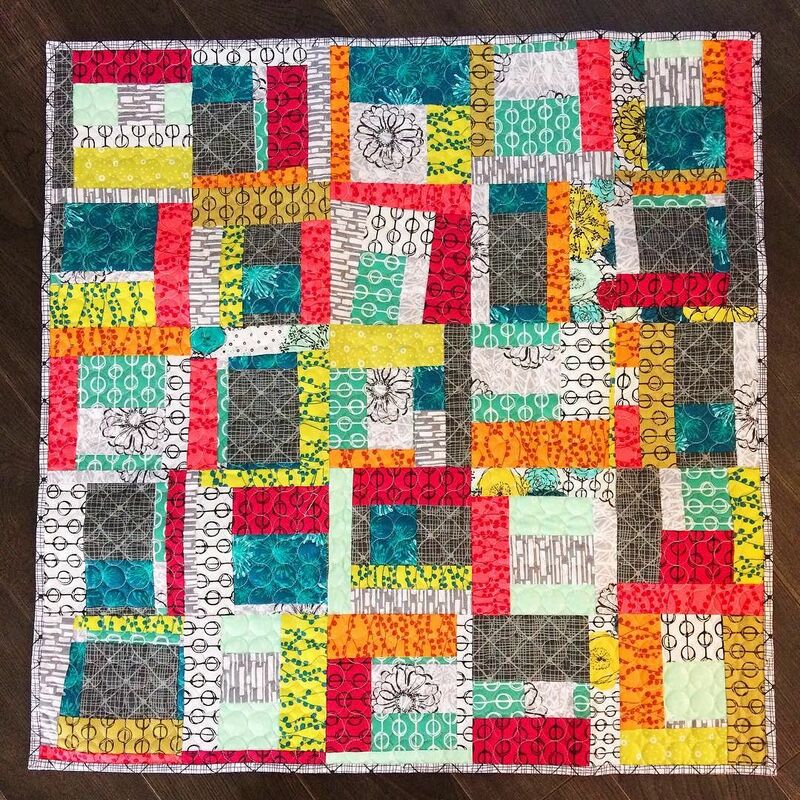 Home Sweet Quilt :: Review & Giveaway! It is book central here lately! I enjoy a glimpse into books before I purchase, and I hope you do too! Home Sweet Quilt is by the talented and sweet Jill Finley, also the creative force behind Jillily Studio, and fabric designer for Henry Glass Fabrics! Home Sweet Quilt is written in four different sections, each a different area in our homes that flourish with the addition of a quilt, or quilted decor accessory. The section with kitchen accessories is fantastic but this appliqued pretty, Overture, caught my eye, I love the shapes included, and the piecing is a perfect addition in the borders. Jill has included her signature methods for applique, with detailed instructions for finishing by hand or machine. It’s hard to tell in the image, but the applique pieces are wool, and add depth and texture to the quilt! 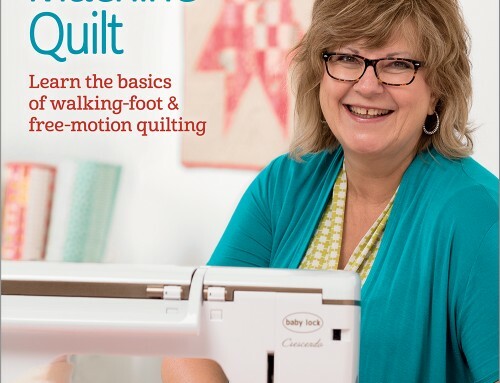 Click over here to view all the quilt projects, and start planning your next project! Home Sweet Quilt is available for purchase now, and full of inspiration. Part of the tour is an ebook giveaway! Do you applique? If so, which method do you prefer, needle-turn or machine? I’ll select a winner on Monday, October 22, 2012. I applique only when I need to hide a hole. I love applique quilt and I dream about making one. I applique quite a bit but am too lazy to turn the edges under. I do a satin stitch for woven fabric or a straight stitch when working with knits. Some beautiful applique here. I enjoy raw edge applique. I have yet to see a project in this book that I don’t like! I love the one you’re showcasing but also think the cherry ones with all the black on it is so striking. I’ve only done fusible/machine applique and do enjoy that. I’ve never done needle-turn. I have done both, but prefer machine applique. Needle turn is hard for me. Definitely machine applique. Needle turn would just seem to time consuming. I need instant gratification. Thanks for the chance. Looks like a great e-book to add to my collection. When I applique I use needle-turn! I love to make appliqué. I always use fusible appliqué and most of the times I use my machine, but I have also made appliqué by hand and then added some embroidery stitches. The only applique I’ve done so far has been machine applique. One day I’ll try needle turn though, hand sewing can be quite rewarding. I really am lusting after this book! I’ve never done needle turn applique, I do most of my applique by machine as it’s quicker, but I also like to do a bit of rawedge-embroidery hand-applique. I haven’t done much applique, but when I do it is by hand. I’m not confident enough in my ability to have machine applique turn out smoothly or I’d be machining it for sure. I’ve been admiring this book from afar. Thanks much for the chance to win a copy. I love to do needleturn by hand and raw-edge applique on the machine. Two very different looks! I love to applique…needle-turn is my preferred method!! I do some applique and usually do it by machine. Right now I am needle turning one. My daughter is coaching me on this one. I’ve done very little applique – raw edge machine stitched. This is an art I an interesting in learning. I do needle turn applique when I do it, I’ve never machine appliqued, I’m not really sure how to do it! I’ve not seen this book before, it looks lovely! Needle turn may take longer but in the end I’m always glad that I went the extra mile. Fusible appliqué comes in a close second. Thanks for the great giveaway! For me hand applique is my method of choice. First of all I have “quilt dyslexia” (look it up on the web). I first learned to use the freezer paper starch method and it was enhanced by taking a class from Pearl Periera. I can be quite accurate with it and it is like second nature. But then I found the back basting method. And that too is fun and easy. Even though machine appliqué may be “fast”, I do not enjoy it. When I decided to make a bed quilt for my granddaughter I used the machine not realizing that the quilt would be washed often. For me hand applique is my method of choice. First of all I have “quilt dyslexia” (look it up on the web). I first learned to use the freezer paper starch method and it was enhanced by taking a class from Pearl Periera. I can be quite accurate with it and it is like second nature. But then I found the back basting method. And that too is fun and easy. Even though machine appliqué may be “fast”, I do not enjoy it. When I decided to make a bed quilt for my granddaughter I used the machine not realizing that the quilt would be washed often. And now every so often I am asked to redo a piece that has frayed away. So, how true is the statement “we learn by experience”! Thanks for this chance to win….your pictures are wonderful!! I love to applique. I do hand applique–mostly needle turn. I like setting up a project and then being able to take it along to work on whenever possible. I also love to do wool applique using buttonhole stitches. The wool feels so good on my hands and it has such a warm texture. I hope I win this book. It is so creative. I have done only small applique projects…both needle turn and raw edge…love the look but not the work of cutting all the pieces Ü Thanks! Loven’ the book It has sew many great quilts in it that you all have sahred with us. Sure hope I will be lucky enough to win ….. I guess there is always shopping….. I do applique and have found that I machine applique more than needle turn …. my needle turn needs much practice I feel and more time that I do not seam to have at the moment. thanks for sharing you favorites from the book. I love to appliqué by hand when using wool otherwise I do machine appliqué. This is a beautiful book, I will have to purchase one if I do not win. I have always done machine applique and I have just started hand appliqueing the Jillily way, which I am really enjoying. I am not able to do needle turn to my satisfaction, so Jill’s technique really fits my style. I have only done a little bit of applique, but I enjoy it. I have done it by machine, but not needle turned… yet! Thanks for the chance to win. I love applique. I have mainly done machine applique but did try my hand applique. I like the hand method but need lots of practice. This book would help in the practice hand applique. Thanks for the great giveaway. I prefer to do everything by hand. I don’t do needle turn though. I usually do everything by paper piecing the pieces first and starching them to size. I am just learning however. I haven’t tried needle turn yet, and I am wanting to try everything to see what things I love the best. Still finding what is my favorite thing to do. I’ll get to it yet. I absolutely love to applique with wool and adore the combination in this sample. When it comes to cotton, I use the traditional needleturn method with quite some success in everything from primitives to Baltimore Album work. Thank you for the opportunity to win this awesome book! Love everything I’ve seen about this book. I’ve only tried applique (fusable) once on a table topper for a blog hop. I’m new to quilting so I could use more info on how to properly do applique. I am just getting into needle turned applique and I love it. I am sure I won’t give up all machine applique because it is so much quicker but hand work seems so peaceful. I have loved Jill’s designs forever. Her book is icing on cake. Applique work is time consuming but so worth the effort. I admit that I cheat. I use fusible web then hand stitch the edges. 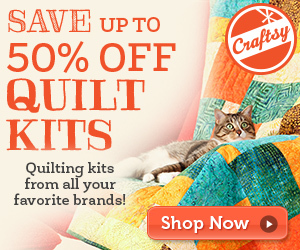 Perfect for children’s quilts because it is durable and a little homey. Thanks for the book review. I prefer needle turn because I enjoy handwork. Thanks for the giveaway! I love applique. Although I have done machine applique, both the raw and finished edge style, I prefer stitching it by hand. My method is a combination of several I have tried over the years. What beautiful quilts! I like to do needleturn applique. I have done both but that is my favorite. It allows me sit with others and visit but yet keep my hands busy. Thank you for offering this book in a give-a-way. I do some machine applique – i would love to learn the needle turn technique. thanks! This book looks wonderful! I have loved everything I have seen so far! I’m new to appliqué–have only done machine, so far. I do applique and I love it. I prefer it over piecing so I am not stuck at the machine. I take my applique to appointments with me. I do needleturn as I find it very relaxing. I love to applique! My preferred method is to turn the edges of the fabric over freezer paper and stitch by hand. I usually machine-appliqué, with a satin stich or with raw edges, though I use fusible interfacing for raw edge appliqué. I love to applique and do my own multiply revised method with washable Elmer’s glue…love it! I usually do applique by machine. Much faster! Thanks for the giveaway. I love to applique – Freezer Paper Method – everything comes out so nice and perfect! I like to do both machine and needle turn appliqué. Thanks for the chance to win a copy of Jill’s book. I also go for quick and easy, fusible machine applique. I always do machine applique. Either using the freezer paper method or a fusible. I do both machine and needle turn applique, depending on the project. If I want to get the quilt done fast or if I want the stitches very close, then the method is needle turn – like for grandchilren. Of course, there is always an exception. My brother just became grandpa to twins in September – a boy and a girl. 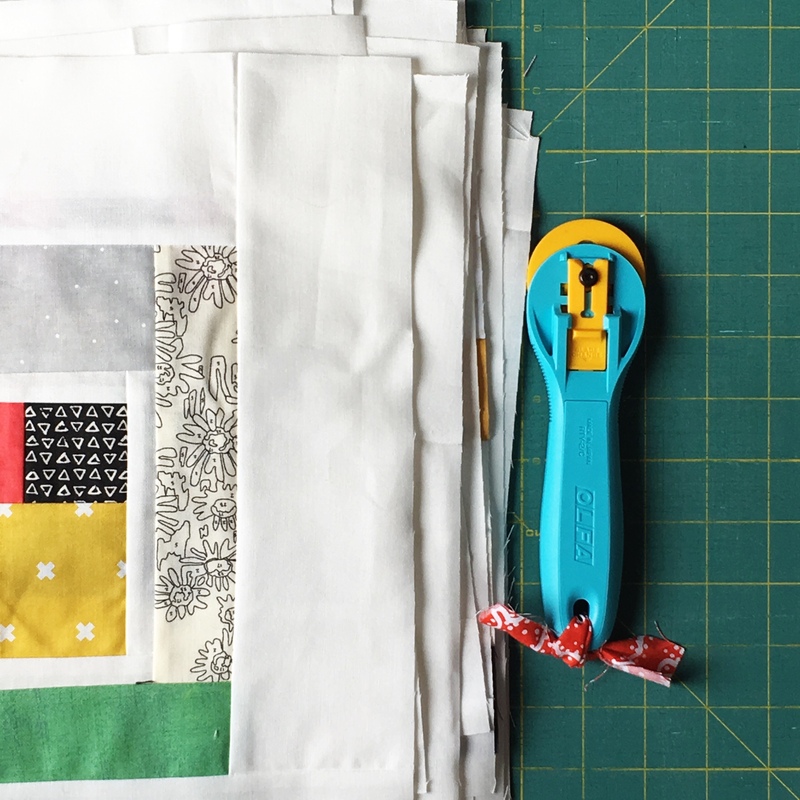 I am working on a Sunbonnet Sue quilt and an Overall Sam quilt in polka dots and coordinating fabrics. They are needle turn. The parents treasure homemade crafts and the quilts will probably remain in the family for a long time and be given proper care, so I feel the time is warranted for these projects. I am making the twins machined pieced quilts for welcoming gifts now. wow! i love the patterns in this little book — so dawgone cute, and the colors are perfect — so deep and vivid! i just started to applique and prefer hand sewing with plastic templates. this is so much more accurate for me. thank you for this opportunity! I do applique and am taking a class from Jeanna Kimball. I may never go back to my old methods! I have done applique on 3 small wall hangings. I’d love to be better at it so I could applique a baby quilt for my nephew. I prefer the look of needle turn but I like both, depending on the project. OHHHH, I really like this book. Whether I win or not, this will be one I’ll add to my personal library! I love to applique. I will applique by machine, but I also like to hand applique using the buttonhole stitch. Thank you for the opportunity. The book looks so good! I love applique but I am not good at it. I never stick with it long enough for that to happen! But nothing prettier than some applique on a quilt. I love the new book! It is beautriful. I needle-turn applique. The book looks awesome… thanks for the chance! I prefer machine applique. I haven’t really done much needle turn applique, but really need to try more of it. Can’t wait to get my own copy of this great looking book. Yes I like appliqué, I prefer with the machine, thanks for the giveaway. Applique is not a major part of my quilting life. I don’t have the patience required for it. However, I am currently working on needle turn quiltS for twins! My brother just became grandpa to a boy and a girl. I’m making Sunbonnet Sue and Overall Sam. I actually find hand work relaxing. Thank you for participating in the BLOOK and the giveaway. I machine applique and love it. I’ve been wanting to try needle turn but it just keeps getting pushed back on my to do list. I love to do machine applique! This looks like a wonderful book! Thanks for the chance to win! HELLO! I’VE DONE BOTH,BUT LOVE DOING THE NEEDLE -TURN BEST! THANK YOU FOR YOUR NEAT BLOG! I love the look of needle turn but prefer to do machine – mainly because of the time factor. I prefer to do hand applique although I will do machine applique if time is a factor. Thanks for the chance to win. My third needle turn applique project is about 10 years old and still in process. The first one only took 2 years, and the second -started in ’98 is still waiting to be quilted… because it is h-u-g-e! My numerous (smaller) machine appliqued projects are in use already! As much as I love handwork, I don’t know how many more decades I have left, so this will be the last of the needle turned applique for me! I love applique! Wish I could do more of it. I do machine applique as well as hand applique. I baste my seam allowances down and then applique the piece in place. I don’t have a lot of good luck with needle-turn applique. Thank you for this great giveaway. i have not done a lot of applique; what i have done is machine applique and as long as the items are not too small – it’s fun! thanks for the chance to win this beautiful book! i have my fingers crossed that you pick me! i love to applique hand or machine. thanks for the change to win. I do not applique – yet. One day I want to learn to do needle turn applique. There are projects in this book that I would love to tackle. Thanks for the chance as Jill is so talented. This book has so many inspirational designs. I’ve only hand appliqued (needle turn) so far, but have a machine applique project in the planning stages. Would love to win this book – thanks for holding the giveaway! This book looks great! I have done both, needle turn and machine, but I prefer machine with a zig zag stitch. I an not a fan of hand stitching. I,very learned I’m too lazy for needle turn and love to do raw edge instead! Looks li,e a fabulous book! I’ve done minimal appliqué, mostly needle turn. I like to applique by machine but think it can be done just as quickly by hand. 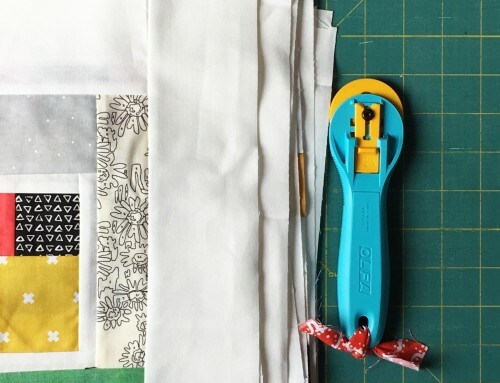 I use a fusible web for most things unless my project is going to be a bed quilt. For bed quilts I go with the fusible interfacing method which makes my pieces look like I’ve taken the time to do needle-turn. I love the addition of applique to a quilt. It just seems to make the quilt sing. I don’t applique very much…..mostly because I just haven’t done it. But when I have appliqued, I’ve done it by machine. Someday I’ll give needle-turn a chance. Someday. I find needle-turned to be the easiest! I really like needle turn applique. It’s time consuming but for me it’s relaxing. Yeh, this looks fresh, with modern approaches to applique. I’m always up for new techniques and patterns. Thanks for the chance to win a new e-book! I like to English Paper-piece my Applique. I want to learn Jill’s Method. Thanks for the pictures inside the book. I always enjoy the teasers on Blog tours. I have only done machine appliqué in the past but would love to do some needle turn this winter. Lovely book, thank so much for the chance to win. I am new to Applique and will probably start using Jill’s techniques in her book, whether I win a buy or buy it I’m a fan!!! I think my first project will be inspired by Jill’s “Berries” kitchen quilt. I love it! I love to needle-turn applique – I find it very relaxing. The quilts you’ve shown from this book are beautiful – very tempting to start a new project – lol. Thanks for the giveaway. I do various types of applique, depending on what I’m making and how it will be used. My favorite way to do quick applique that’s neat and durable is to turn the edges with an iron and starch and stitch the appliques down by machine. I enjoy doing applique. Needle turn applique is beautiful but too time-consuming for me, so I do fusible applique with a machine blanket stitch on the edge. i love applique and have used most methods of applying applique, but have not yet tried needle turn. i prefer raw edge machine with either straight line or zigzag, depending on what i’m making. I love applique and love the “happy” projects in this book, would love to win it. I usually just do machine applique. I like to do both Hand and Machine. Hand applique when I want to sit and have lots of time to spend on a project. I mainly do buttonhole applique. I have tried a little needle turn and want to give it another go at some point. I’m certainly enjoying this blook tour! When I was teaching myself how to machine applique, last year, I found that using invisible thread with a small zig zag was quick and my stitches didn’t have to be perfect. For bigger pieces, using a bold contrasting thread and blanket stitch, again on machine, gave another effect altogether. However, it does feel a tiny bit like cheating and I do aspire to spending long summer days in the garden doing my hand applique – or even reading this lovely book. I hope I can win it, thanks for the chance to have a go. I actually love to hand applique, I would love this book! Looks like a fun book of applique and piecing. Love the book, followed Jill on her tour of her fun house, all decorated with quilts. I prefer machine applique. I have tried applique but I am not really good at it, so I really need to practice a lot more. I enjoy piecing more, but practice makes perfect applique. I would be honored to win an E-copy of this book. I really like the pillows and sure would like to attempt to make these for my upstairs bedroom. Thank you for the wonderful opportunity to win such a priceless book. Thanks for the chance to win this great e-book. This looks like a lovely book. I love book reviews. Do I applique… You betcha. I done all types and kinds. I do especially love needle turn. It is a great project for evening TV time with the family. I do lots of applique, when I started quilting I started out doing applique and I still enjoy it 10 years later. I have only done machine applique, mostly because I don’t think I’d have the patience to sit and do hand applique and also I’m not a big fan of hand work. Thanks for the opportunity to win Jill’s new book, so many projects I’d love to make. I enjoy applique, I haven’t tried needle turn yet though. I want to but I just haven’t had the time. I do not applique, but if I did it would have to be needle turn. I would love to learn the secret to do the real deal!! I do love applique. I do the needle turn version because it is very portable on trips. Thanks for the chance to win this great book. Great post. I’m just getting back into applique (I’ve been collecting patterns) so at this point I prefer machine stitching. I don’t applique a lot but when I do, I usually do it by fuseable and machine. One thing I like about Jillily’s patterns is that they are simple and easy shapes. Love the fresh colours and the quilts look achievable. This book could be a great addition to my bookshelf. To date I’ve only ever machine appliquéd with blanket stitch or blind hem stitch but needle-turn is on my list to learn when a suitable class pops up. I enjoy doing both hand and machine appliqué – different looks for different projects… Thanks so much for this opportunity! I haven’t tried applique, but sooo want to learn how! Pick me! Pick me! I do like applique, but don’t seem to do it often. When I do, I use my machine. I’ve never tried needle turn appliqué. I quite enjoy the fusible method, with hand embroidered buttonhole stitch, and have completed several quilts using this method. I really love this book. Please enter me in the giveaway and thanks for being a part of the tour and a chance to win. I really love this book. Please enter me in the giveaway and thanks for being a part of the tour and a chance to win. Oops, I forgot. I love blanket stitch hand applique the best, but also do needle turn. I have done machine projects but have never on a quilt. Would definitely like to make an appliqued quilt some day. While I applique by hand as well as machine depending on the needs of a particular project, I prefer machine applique because it is faster. I don’t do a lot of applique, but I prefer to use my machine when I do. Thanks for the chance to win! I love to applique and I prefer to use my machine. Thanks for the opportunity to win Jill’s book. The book looks great! I have never needleturned only machined and also hand stitching using blanket stitch, I’m new to applique but love it! I love needle turn appliqué and Jill is a master. Oh oh oh this is one of those books that I HAVE to have. :) I do needleturn applique. It is my favorite type of sewing. I’ve only done machine applique! I love to applique!! I most often do machine applique but I’ve recently started to do some hand applique. It’s so relaxing! I do very little applique, but after attending Sewing Summit and seeing all the busy cute attendees doing applique, I would love to start. And I need this gorgeous book to get me started in the right way! I have not done any applique for many years, mostly due to time issues…work, school, kids, etc. I still do not seem to have much spare time, but am finding I make better use of it now. This book has some very pretty projects, that would be just the thing to get me started! Thank you for sharing. 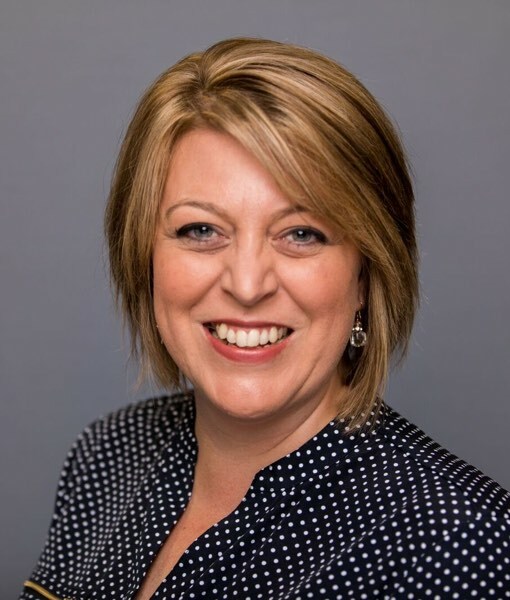 I would love the opportunity to win Jill’s new book. I enjoyed the online tour of her new home and studio… what a blessing to sew in that space. I’ve only done fusible/machine applique and do enjoy that. Thanks for this chance to win her book. I love to machine applique! My machine has a great buttonhole stitch. I always keep something to needle turn applique by my recliner so I can applique while watching TV and relax doing it. I also love to machine quilt. Both methods are so very relaxing after a stressful day!! Thank you for a great give away. I have done both, really like the needle turn way best. I like to snuggle in a comfy chair with Pandora on the Ipad & stitch away. Just love Jills vibrant projects. I use several techniques of hand applique. I am trying to get my courage together to try machine applique. Thank you for the opportunity for the prize. I find the pictures on the various blogs in the contest very intriguing. I do applique occasionally and luv to machine applique. It’s so easy to do. I love to applique. I usually do the turned edge starch method and glue my pieces in place with Jillily applique glue–awesome stuff! Thanks for the chance to win. I do applique and I like both types. If i am in a hurry or will use the appliqued piece a lot and it would need to be washed, I will do machine applique. I use this especially for clothing and table runners or placemats. I love applique and I do it by hand. I love the whole process – from tracing the shape, cutting out the fabric, and sewing it on to the backing. uhhhhhh well to tell the truth although I do some hand work…I really prefer machine applique. Thanks for the chance to win the book :) Love the patterns in it!! I haven’t tried applique, but would like to learn. My quilting teacher is insisting I learn to do hand applique, but it’s so much slower. Shhh, don’t tell her. I do prefer machine applique. Okay, I’ll give it a chance. Maybe if I win this book it would help. I love need-turn applique! It relaxes me and gives me something to do while I’m watching tv in the evenings. I’ve tried machine applique but it doesn’t give me the satisfaction that hand applique does – and I don’t think it looks as good. I love to applique with templar and starch. I can get a crisp clean edge and then stitch with silk thread. Applique used to be “the A word”, ranking up there with other 4-letter expletives. But over the years, I’ve learned that needle-turn applique by hand is calming, very portable, and the finished pieces look fabulous! I applique with fusible web, then finish either way – by hand with embroidery stitches or with a machine. I can’t wait to get a closer look at the beautiful applique in this book. Thanks for the give away! I much prefer machine applique, using double-sided fusible web. I love the applique projects in Jill’s book! Please enter me in the giveaway! I just love applique and I always do the needleturn method. Thanks for the give away. Applique is my favorite! I usually alternate between needle turn and machine equally. It all depends on what the quilt is going to be used for! I machine applique. thanks for the chance to win this ebook. Love the book. Thanks for the chance to win! Applique is so appealing. My favorite method is the fastest for me, using fusible and machine stitching. 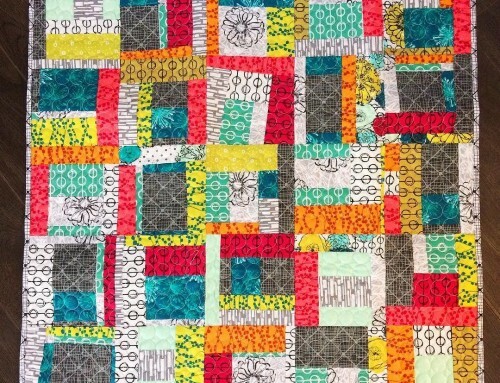 Aren’t the colors in Jill’s quilts spectacular!! I love her combinations, especially with the “orange sherbet” shade. Looking forward to flipping thru the book. Thanks for participating in the Blook tour, Amy. I’m a bit of a cheater and do raw edge on the machine now. My attempt at needleturn was less than pretty! Thanks for the great giveawat. When I do applique I usually use my machine. I would love to win a copy of this gorgeous book! right now, all of my applique has been done by machine, because it’s quicker and because I know how to do it. :-) I really do want to learn some other methods, though, and must pick up a copy of this book as I understand Jill explains her method here. I do both but I favor machine applique. I often take the applique shapes and re-use them as quilting designs. I do both needle-turn and machine applique. Needle-turn allows me to “take” a project with me and work on it where ever I am. But, I love my machine, so enjoy doing machine applique also. 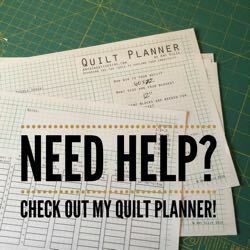 OMG….I just discovered modern quilting blogs! I can hardly leave my computer to work on my sewing machine. I’ve never appliqued, but expect I will try it when the basics of quilting are more fully understood. I like both hand and machine applique. For quilts that will get a lot of use, such as charity quilts, I use machine, but for quilts I will keep, I love hand applique. I hand applique and have recently made an applique quilt for my son. I love needle turn applique. I use a no template method that makes it easy! Great looking book! Thanks for an opportunity to win! I like applique as it’s a nice change from traditional piecing. I generally machine applique, however, due to time constraints but also love the look of needleturn. Thanks for a chance to win this book. There aren’t too many books that I’ve seen where I loved all of the quilts pictured in them. Too bad I didnt see the book tour until now. Thanks! I love to applique and I do them all but my favorite is to do needle turn. I love to do handwork. I love appliqued quilts…I’ve done mostly raw edge machine applique but love the look of needle turn. I would love to master the needle turn look, by hand and by machine using the blind stitch. Thanks for the chance to win Jill’s Home Sweet Quilt book. There are way too many ‘I want to make quilts’ in this book!! I like needle turn applique the best. I feel it will last longer. Machine Applique for me ! I don’t do it often ; but do enjoy it ! thanks . If I win the book , It will inspire me to do it more often !! Hands down I prefer machine applique. I especially like using a blanket stitch. I have never done any applique, but I’d like to eventually learn. :) I agree that the quilt you featured a picture of on here is just stunning! I usually do my applique by hand, because I love having a project to take with me on my errands and I love the calm of doing hand work. I would love to have this book. All the projects are beautiful! I love Jills applique techniques. I was fortunate enough to be able to attend her open house and see first hand how to do them. I can’t wait to try them out. I don’t do much handwork so my applique is all by machine- and I have not done much of that either- I prefer to piece- Jills book looks like a wonderful new one. I’ve done machine applique with fused applique pieces, needleturn applique with paper templates, and also appliqued wool felt shapes onto a background. The one I’ve done the most is the wool felt shapes. The one I like best is the needleturn because of the way it looks and feels when it’s finished. Thanks for the great giveaway! I love hand-applique and lately I have been liking the glue stick method. Thanks for the chance to win. Appliqué is on my list of thongs to try. I’d love a book that covers this topic well. Thanks for the chance! Haven’t done any appliqué yet. Would love to win this book so I can try it. what a great give a way. I have appliqued by hand, have yet to do machine. I have appliquéd….both needle turn and machine and MUCH prefer the machine. It is still quite a time- taker and I’m looking forward to seeing if Kim’s method and little dots make it easier. She does sooo much appliqué and it’s beautiful!!! I have taken a class on appliqué but I have not really jumped into appliqué yet. It seems like Jill has a uniques style. Very inspiring. I mostly machine applique. I’ve never tried needle-turn applique, but I have tried other methods. Still I love my machine applique. Thanks for the chance on the book! I don’t applique yet, but I’ve been meaning to learn. I don’t do needle turn applique yet but would love to learn. I prefer machine applique. Thanks for the giveaway. It looks like a great book. I love the look of applique, but am intimidated by it. I haven’t found a favorite way …yet. Maybe Jill’s way is what i should try? Thanks for the great review! Thanks for sharing your review of Jill’s book; it would definitely be a treasure to use and enjoy! I love to machine, because I know how; however, I love needle-turn and have had several classes to decide which method works best for me. It has such a clean look about it. Thanks for sponsoring this giveaway!